Book Review by Jonathan Diaz (part of the TAP In series of guest reviews). There are two different places that create two different stories. One family lives in the country of Australia and the other family lives in Morocco, North Africa. Each story has many differences and maybe some similarities -- just like some things in families are the same for each family. 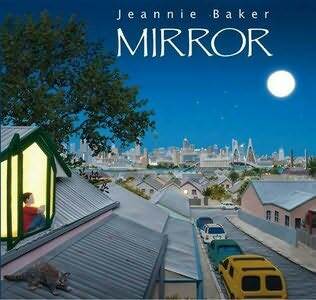 The book Mirror describes and shows the differences between how people live in each country; how they cook, eat, getting to places, what transportation they use, their different lifestyles at home, different religious views, and many other differences in life using pictures side to side. As a critic, I think this book was very useful to any age. It was realistic and creative. The story was realistic and simple because it did not use words; it just showed images to describe each action the picture creates. This book would be useful to any person and it makes you think of how different each person’s life is. Notes from Alysa: This was a favorite of several in the group, and there was some discussion about how it would be great for classroom use. It is not constructed like a typical book, so when my 11 month old opened it up he got frustrated. :D Within the cover are two books that open up side by side, to show the parallel lives Jonathan talked about. Check it out!